Amanda! This was just fabulous! Who would comment in this but me! 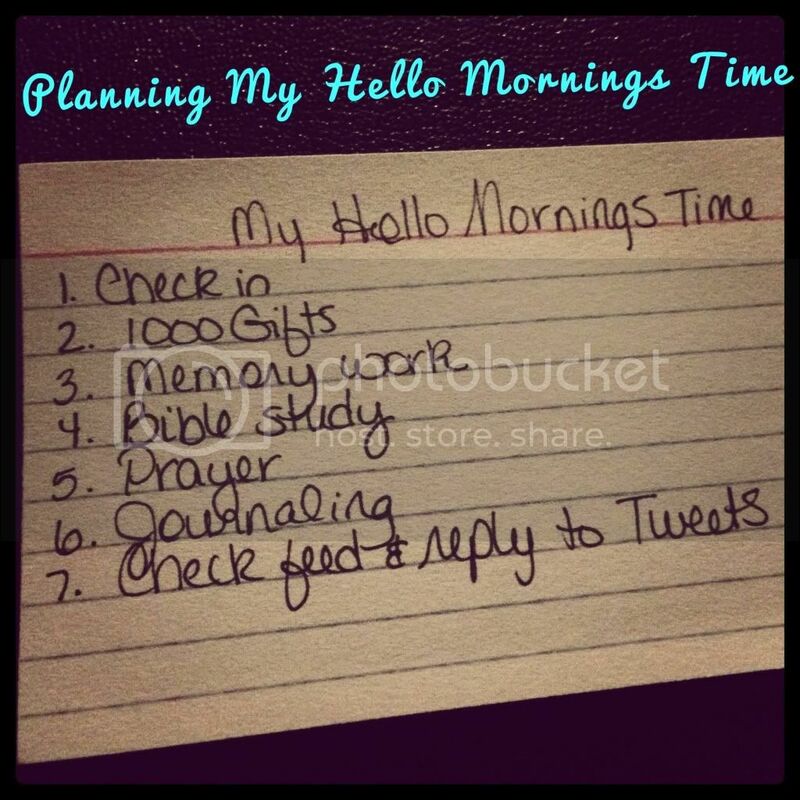 I love Hello Mornings! It has helped me so much! But the amount of days I miss it & get sidetracked is shameful! But I love all the accountability! You just had me rolling! I can so relate!